Alexander Rose Classic Table 1.55m: The Classic 1.55m Table by Alexander Rose is a beautifully designed table that will easily seat six people, perfect for relaxing or dining when paired with the Classic Armchairs. The Alexander Rose Table features an elegant basket style weave made with premium 3mm white viro wicker woven onto a powder coated aluminium frame for a rust free design. 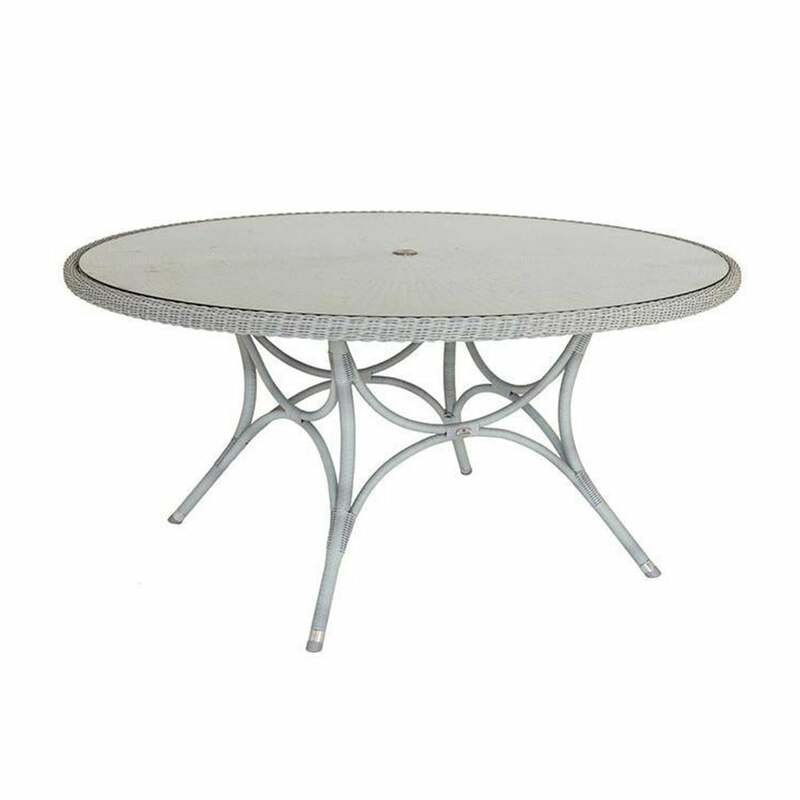 The Classic 1.55m Table has an open decorative framework with curved edges, a distinctive wide rim and features a tempered safety glass top with a parasol hole.